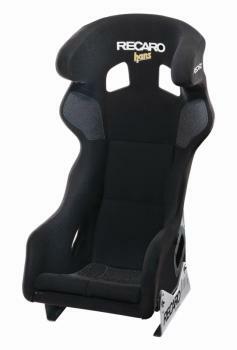 Recaro Racing Seat - Profi SPA HANS UNIVERSAL - MiataRoadster - Stay tuned with MiataRoadster! Manufactured from high-quality Carbon-Kevlar® fibre material, this shell for the motorsport professional satisfies the most exacting requirements in both quality and safety. HANS® systems with angle adjustments of 20° to 30° are optimally used in RECARO HANS® seats. Recaro recommends consulting with a specialized dealer when selecting the complete HANS® gear set.